Yup, it’s the doldrums of winter yet again. Everything feels slower in January but that is really not true. During and just after Christmas in the shop you are already planning like crazy for the coming year. In January I always make the trek to Atlanta to shop for Christmas 2019….and for Spring goods that I may have missed when buying in the Summer/Fall for the Spring….confusing but you must do things ahead if you want the best for your customers! Market is always an amazing whirlwind. This year my take away from the Market is that COLOR IS BACK! and Vibrant Color at that! This is wonderful from a design standpoint. It will, however, take some time for this to transfer in a big way to the retail market. Design trends always occur on a curve….slowly up – then strong for awhile – then slowly down and out…..so expect the grey hues to start drying up. My other reaction to Market this January is that the manufacturers are feeling positive about the economy so they are stepping out of the comfort zone and bringing in more exciting designs…this has been missing from Market for the last several years – and the change is more than welcome!!! You will love the new fresh variety! Color in the market was strong in tabletop goods, paintings and artwork, and fabrics! It made my heart beat! 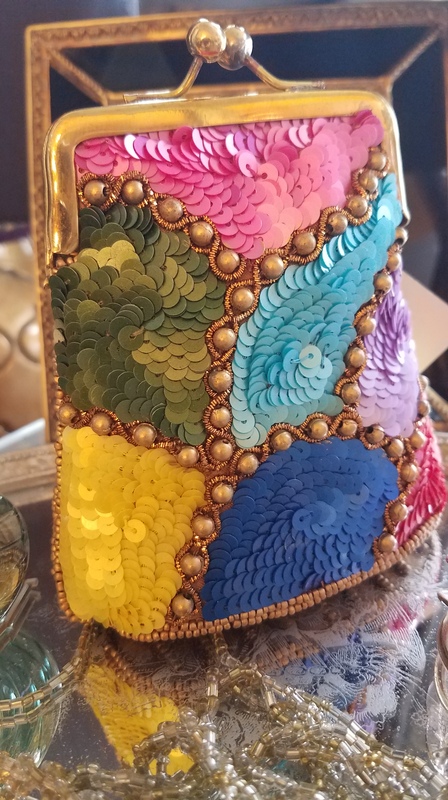 A beautiful vibrant change purse – so lovely and happy! So now that I have made buying decisions for Spring, some Summer/Fall and Winter 2019 I am eagerly awaiting orders to ship in…this is the exiting part. Selling off the old merchandise (translating to some great deals for my customers), taking in the new purchases and reorganizing the shop to showcase the new looks. 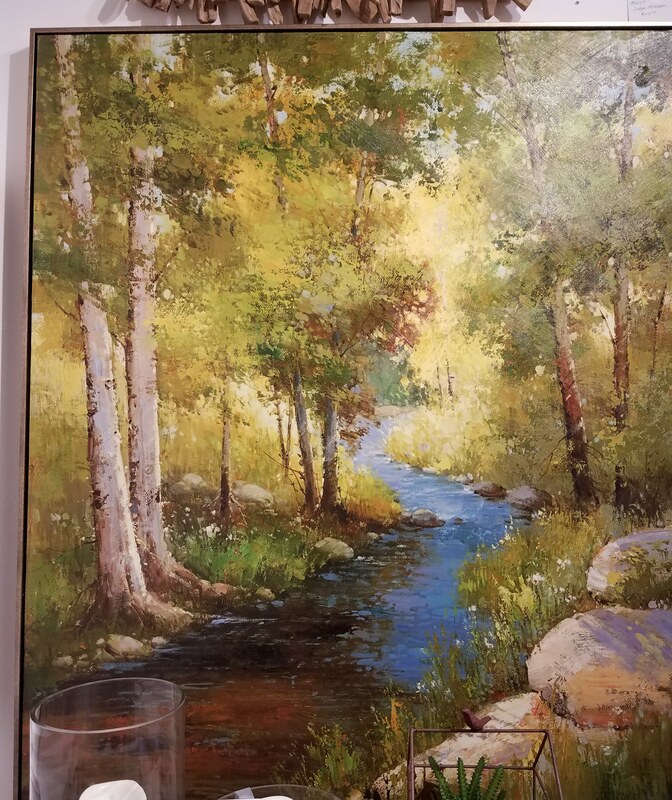 Lovely Artwork peaceful yet colorful at the same time! So, long story short, the Winter is really a busy and fun time in the shop! 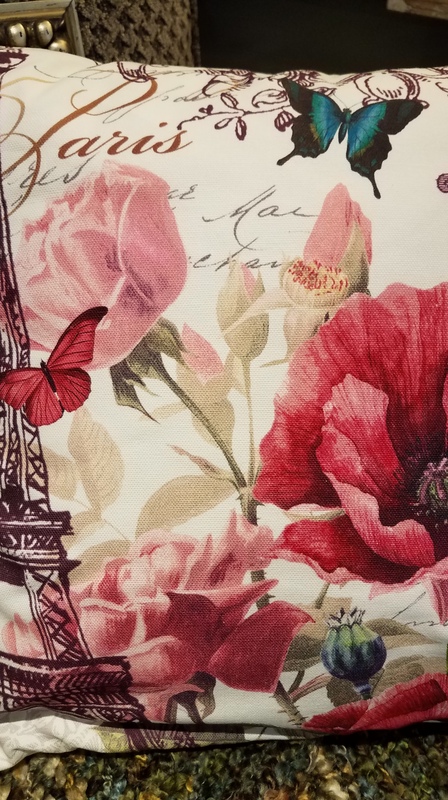 a lovely pillow with a Paris theme…of course what else at The Whistling Elk! 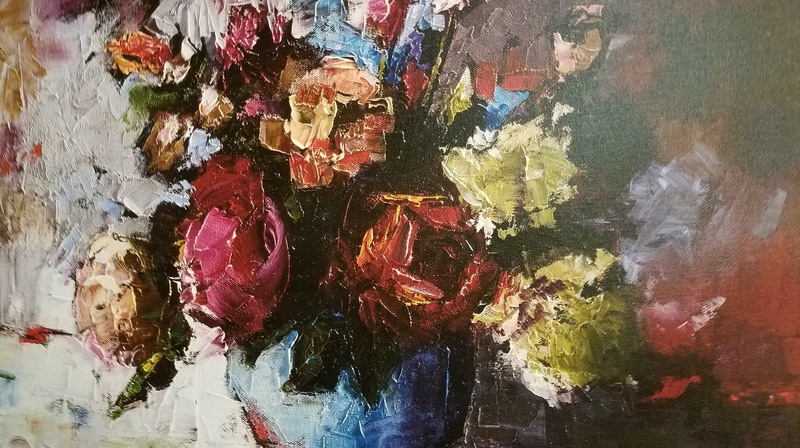 Stilllife – lots of color here! This entry was posted in DIY, Furniture, gifts, Home, Paint, Uncategorized. Bookmark the permalink.